Sarri believes Hazard is happy and does not have the same personal reasons as Courtois to move to Real Madrid. LONDON: Chelsea manager Maurizio Sarri is satisfied Thibaut Courtois' departure to Real Madrid will not trigger further defections such as the Belgian goalkeeper's compatriot, playmaker Eden Hazard. 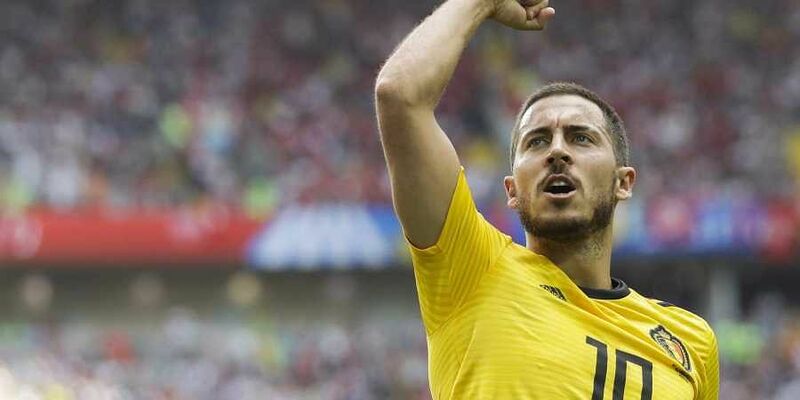 Sarri believes Hazard is happy and does not have the same personal reasons as Courtois to move to Madrid -- he wanted to be closer to his two young children who live there with their mother, from whom he is estranged. Sarri is preparing for his Premier League managerial debut against Huddersfield Town on Saturday and he will be seeking a much-improved performance than the limpid one Chelsea gave in the 2-0 defeat by Manchester City in last Sunday's Community Shield. "I think it's impossible," he said at his eve of match press conference about the possibility of losing further players to mainland European clubs whose transfer window unlike England's -- which shut on Thursday -- remains open till August 31. "Here the market is closed, so we cannot change important players now. It's impossible. "I think definitely. It's not a problem. I have spoken with him three, four times, for everything. "He never said something about the market. I think he's very happy to stay here." Sarri -- who came through an unconventional route to be a top level manager having started working life as an international banker -- said the outlay of 80 million euros, a record fee for a goalkeeper, for Courtois replacement Kepa Arrizabalaga from Athletic Bilbao is a wise investment. Seven months ago, Kepa's buyout clause was just 20 million euros and it was he who looked set to join Real Madrid in January. "The Courtois situation was clear," said Sarri. "He wanted to go to Madrid, so we lost maybe one of the most important goalkeepers in the world now. "We bought a young goalkeeper, I think one of the most important amongst the young goalkeepers in Europe. I'm really happy," added the 59-year-old Italian. Sarri, who also got Croatian midfielder Mateo Kovacic on a season-loan from Real Madrid, accepted Kepa would take time to reach the heights of Courtois. "He's very young, 23," said Sarri, who would not confirm whether the Spaniard or experienced Argentinian number two Willy Caballero would be between the posts for the Huddersfield game. "I hope he can improve very fast. For the moment he's not Courtois, for sure."